How to judge aluminum tread plate quality? When we buy aluminum tread plate from aluminum tread plate manufacturers, what we most worried about is the quality and price. 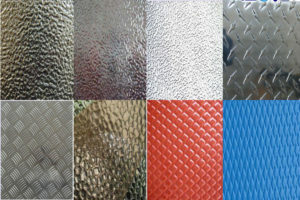 Like aluminum, a lot of people do not understand the surface and material of aluminum tread plate. So how to judge aluminum tread plate quality? Usually we see the pattern of aluminum manufacturers are marked, and the logo is the product of the standard code and license. In the pattern of aluminum manufacturers in addition to the surface to see the clean or not, we need to see more things. For example, we should look at whether the aluminum platethere have been some cracks or the emergence of some corrosion phenomenon. This is the need to use a professional eddy current measuring instrument for testing. The formation of the sealing is formed after the anodic oxidation, if these seals are not well handled, it will lead to the subsequent phenomenon of aluminum sheet corrosion. Usually we are the method of detection is leaching method, that is, to remove the surface amount of dust, the nitric acid drops to the surface, after a gentle wipe, the water washed away nitric acid, and then drop the surface of purple syrup, a minute after the paint clean See if there is a clear trace of the surface, if any, then the seal is not handled very well. Pattern aluminum plate of this indicator is also affecting the life of aluminum sheet, we often use the method of sub-alkali, the use of sodium hydroxide solution, mainly to see the oxide film through the time. It is recommended that you have strict requirements in the laboratory.